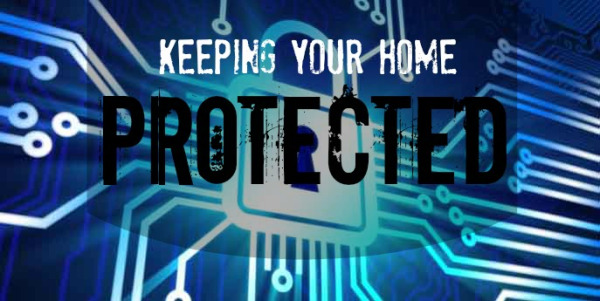 Actually, there is no shortage of security gadgets that can help, many of which are and are not only cost effective but can have a high impact on the security of your home. There’s plenty to consider when picking what kind of tools to use for your home, for instance, do you want an app that ties into an existing security system, or would you like something that is stand- alone? What features are important to you? Do you want video monitoring, control over your home’s functions like light and heat, or alarm triggering? We’ll talk about a few competing products and their services, but first, here are a few tips to use for figuring out which company is right for you. First, check is the reputation of the company that you are buying your application from. You’re trusting this product with the safety of your home, so make sure that you do your due diligence and if possible do a little research into client reviews. All of the ones we’ll talk about here were well reviewed, but if you’re looking at others, it is completely worth it to do a little digging. Second; there are options for every single budget. Know what your priorities are in a system and there won’t be a shortage of choices. Another thing to look for in systems which have accessory pieces like door sensors is whether the company offers warranty for its products. This will help you to get your system repaired for free if something should happen within the warranty. Finally, some applications may be seemingly inexpensive up front, but may have other hidden charges such as monthly payments, so make sure to read the fine print. Alarm.com - A free system which ties into existing, well known security systems like ADT or Guardian. This app allows you to monitor all of your doors, cameras and even allows you to tie in with home functions to manage things like energy use. I found really good reviews for this product, but you do have to have an existing, compatible system already in place. iSentry - Another free application which ties a computer to your phone. Aim your computer with webcam at a traffic area of your home and if the camera detects motion, it will automatically notify you on your phone. It’s a super simple version of a security system. Canary - A two part system consisting of a base device and an app for your smart phone. The base which is small and sleek sits in your home and monitors everything from climate, to door ways and even has HD camera with night vision and audio recording which is great for purloining thieves or just catching up on your pets in the middle of the days. The device itself is $149 and the app is free. Vivint - A touch more expensive than Canary, but with access to everything from locking and unlocking your doors remotely, to being connected to your smoke and carbon monoxide detectors, so if they’re going off while you’re gone, you’ll know about it. Plus this system has all of the energy management and home automation features you could want. The system starts at $199 and has additional upgrades from there. There are lots more out there, but hopefully this gives you some ideas to start with.